The most popular island for travelers, surf famous Waikiki Beach, experience North Shore's world class waves, snorkel Hanauma Bay and visit the USS Arizona Memorial in Pearl Harbor. Drink, and learn, at this World War II museum and bar, filled with donated wartime antiques and artifacts. Brewmuseum is a unique brew museum and WWII museum packed full of memorabilia. ​Situated in the heart of one of the world’s most popular vacation destinations, the Ohia Waikiki Hotel is close to shopping, restaurants, and nightlife. 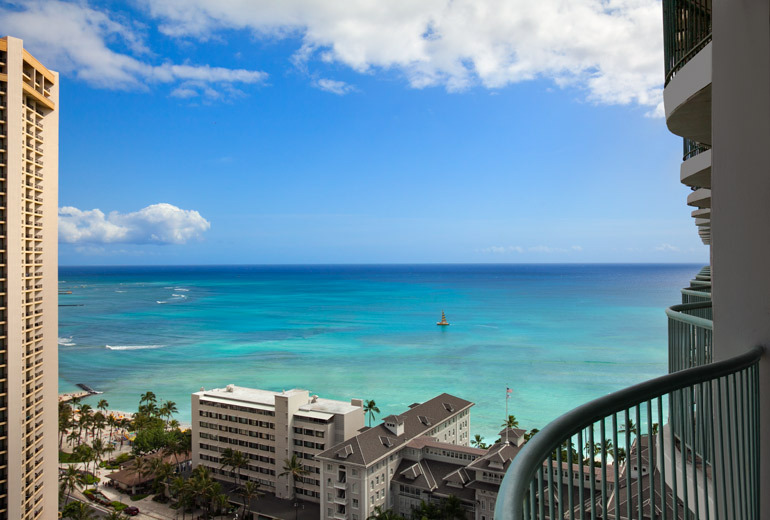 The hotel is just a block from the sparkling beach of Waikiki and steps to Waikiki’s best attractions. The generously sized guest rooms and suites are comfortable, and also offer private lanais for guests to take in the fresh air! *Kids This hotel offers Kids Stay Free!